Super silk ceramic coating ensures silky smooth curls with a luminous luster. Amazing results within mere seconds! 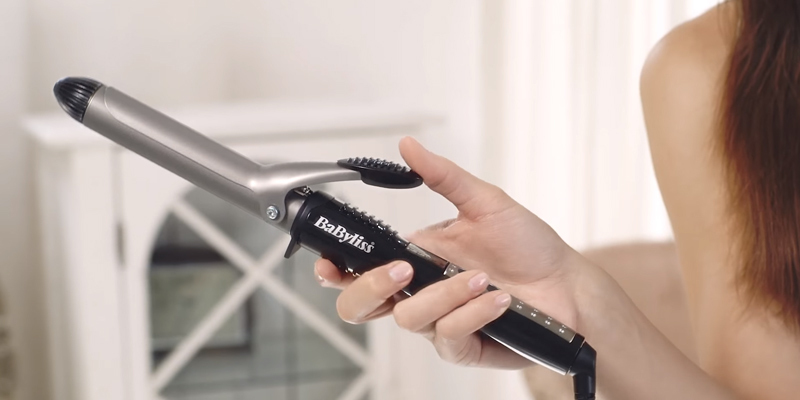 The 25-mm BaByliss wand will fit locks of any length but isn't a good match for fair hair. With a minimal temperature of 150°C, it's a bit too powerful and, while great for women with thicker manes, just won't do for delicate curls. It's a pretty classic model in all aspects so get it if you're not looking to experiment and just want quick and simple styling. 22 temperature settings in the range of 90°C - 210°C let you choose the optimal level for your hair. All chosen settings are shown on the LCD display. This model is quite bulky. We wholeheartedly recommend this model to any woman battling frizzy and dry hair. The ionic ceramic and tourmaline coating eliminates both issues, nourishing your locks with much-needed minerals. It's an absolute bargain for the price, especially given the fact that it's up to par with costly, renowned brands. 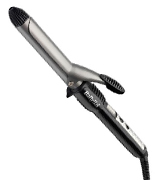 The curling iron comes with 2 hairpins which make it easier to curl your locks. These are indispensable accessories, especially for women with long hair that is difficult to style without help. The heating element may retain traces of styling products. Choose this model if you need a curling iron that heats up in less than a minute and has a slim handle that won't be tough to hold. Made by a lesser-known brand, the Anjou curler is, nevertheless, just as good as it's more expensive counterparts. It may not have extra features that set it apart from the competition but it works well as a basic curler. 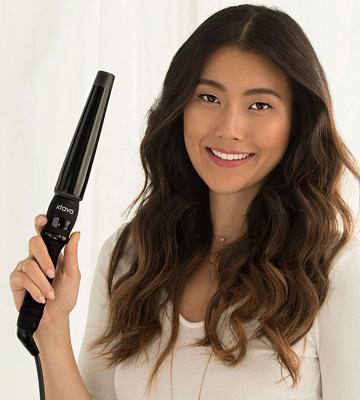 If you think that you’d not be able to experiment with the curls using the same curling iron, try the Remington CI96W1 Silk Curling Wand and see different for yourself. The conical shape and variable barrel diameter allow experimenting with hair by adding to it more volume, loosening or tightening curls. And the ceramic coating used gives the hair more lustre and natural gloss, ensuring that your hair looks healthy and beautiful like you've always wanted it to be. Furthermore, the Remington CI96W1 curling wand boasts variable temperature settings for different hair types, helping you in taking care of your hair and styling it without causing any damage. 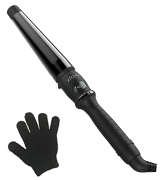 Knowing that many customers gripe about burning their fingers when curling hair, the manufacturer fitted this wand with a cold tip and supplies it with a heat-resistant glove so you can style your hair safely and even touch the barrel when winding locks, not worrying about burns. 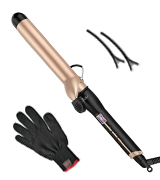 What adds convenience to this curling iron is a long swivel long providing you with a bigger radius of movement. Unlike many styling tools that often limit our movement in relation to the outlet, with the Remington CI96W1 Silk Curling Wand you won't experience that issue. Another thing the manufacturer added with the user's convenience in mind is a heat-resistant pouch in which you can store and transport the wand, even if it's still hot. While being not the most popular brand on the market, Remington doesn't skimp on the features, making sure all their products are great and can suit various needs and a different budget. In regards to the CI96W1, it's just a great proof of that. 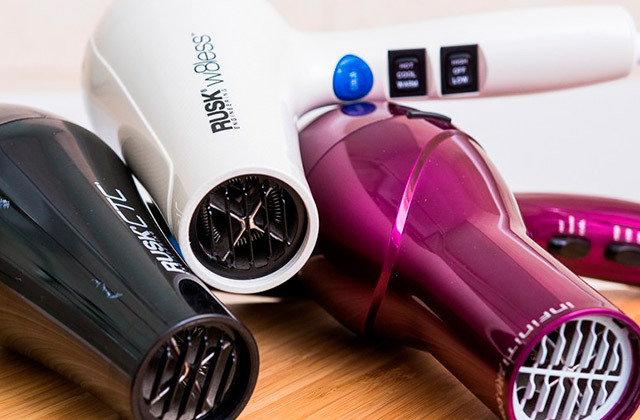 At a fraction of the cost, it offers unparalleled performance and functionality of its more expensive counterparts, such as BaByliss, for example, making it a top pick for those looking for an effective and affordable model. Have you ever dreamed of having luxurious curls worthy of a red carpet at some big Hollywood event? 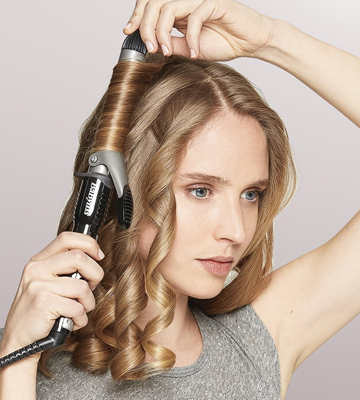 Try out the BaByliss Diamond Waves Twisted Wand and turn your dream into reality! 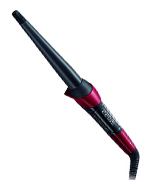 The diamond-ceramic finish on this iron will boost the natural shine of your locks, making you look like a star. No need for any chemical additives that might damage delicate strands, the curler works its magic without gels or sprays. The 25-mm twisted barrel is designed specifically to make your locks wavy and works best on short-to-medium length. The BaByliss Diamond Waves Wand is a solid choice for those that don’t mind paying a bit more for glorious curly locks with a natural shine. It’s convenient to use thanks to the 2.5-m cord and protective glove included in the box, and it provides excellent results boosting the inherent beauty of your hair. 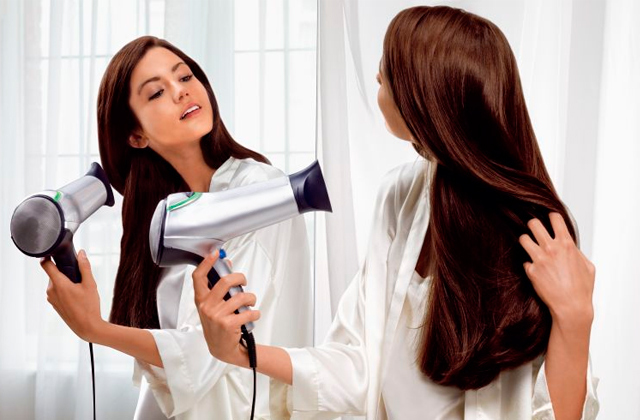 Thanks to the intrusion of tourmaline in the coating, the BaByliss Pro Curl 210 Tong can not only curl your hair but also nourish it giving it a beautiful lustre like that you see in magazines. It has a convenient barrel which doesn't need to be twisted much to achieve the desired effect. 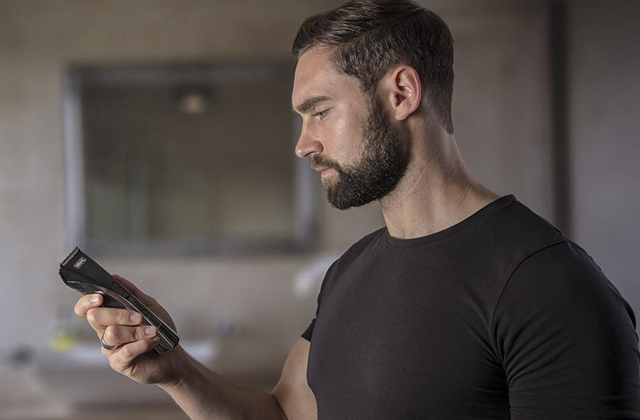 Also, it has 5 temperature settings that can be varied in the range of 150°C and 210°C, making sure you use the optimal heat suitable for your hair type, and an auto shut off function turning the wand off after 72 minutes of no use. 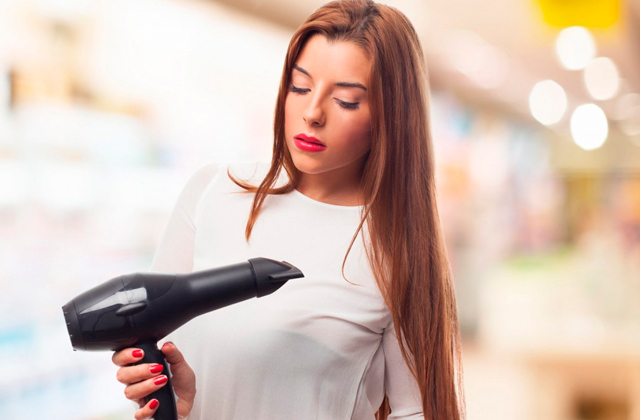 But what makes this model really shine is a quick heat-up time, something that even more expensive curling irons seem to miss. 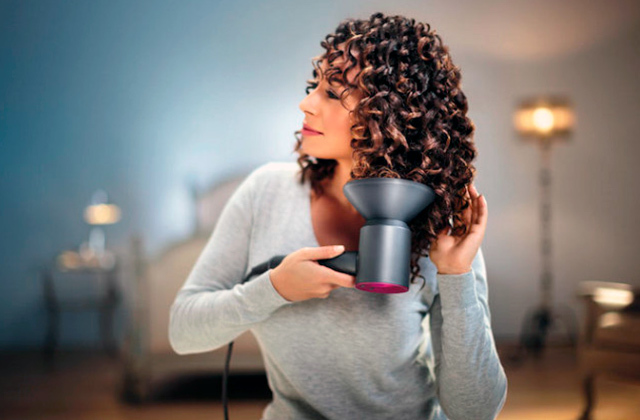 Being less fancy than more sophisticated models, the BaByliss Pro Curl 210 Tong offers reliable operation, excellent styling results, and delicate care treatment. It's suitable for salon use and is perfect for daily hair styling. Want a truly big hairdo with gorgeous, flowing curls? 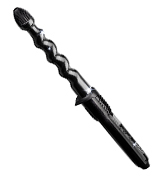 Then we wholeheartedly recommend you to try the xtava Twist 1 Inch Curling Wand. The 25-mm ionic ceramic and tourmaline barrel will not only give your locks an enhanced shine and stronger bounce, the natural nutrients from tourmaline and ionic treatment will strengthen your hair invigorating each separate strand as well. 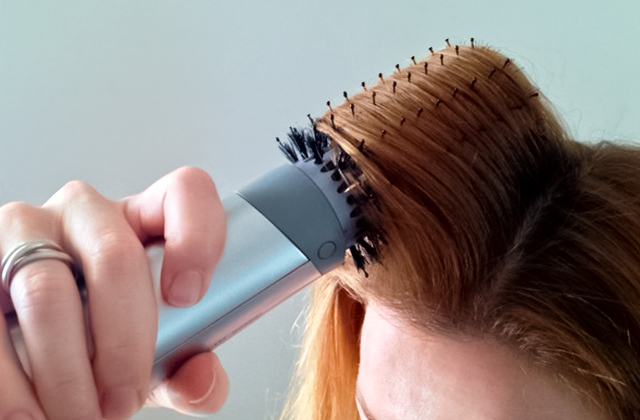 Use this curler for a couple of weeks and see the drastic change in your hair, with it getting healthier, fuller, and having less and less split ends. 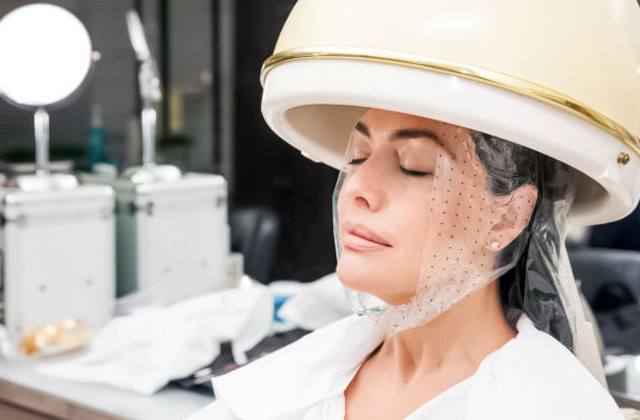 And, yet again thanks to the ionic technology, you’ll never have those frizzy locks again! 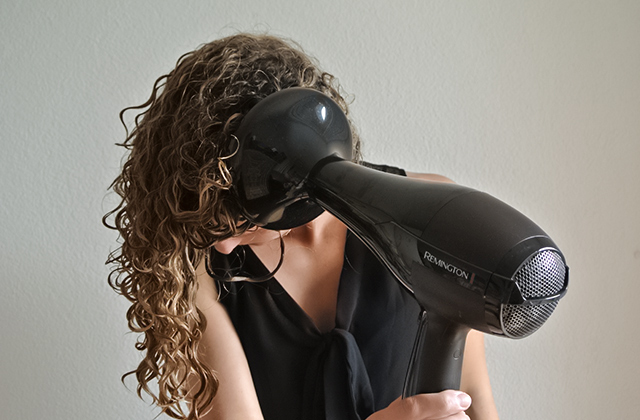 If you have sensitive curls, you’ll be happy to know that this model has 22 temperature settings varying between 90°C and 210°C, allowing you to adjust the heat as you see it fit. When in a rush, you might want to amp it up while more delicate locks will demand lower temperatures and gentler styling. To sweeten the deal, the manufacturer includes a free heat-resistant glove and a travel case with your purchase. 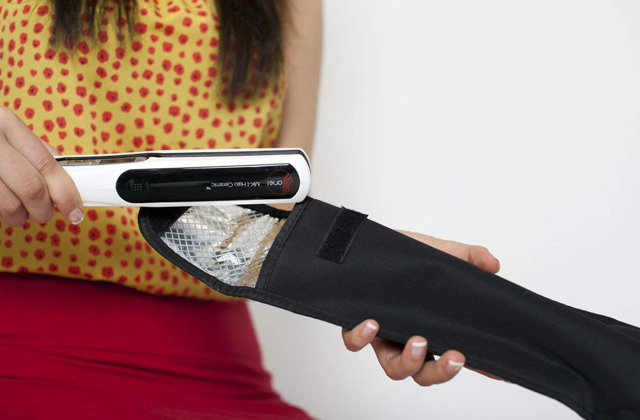 The glove will surely come in handy to prevent burns and the case will help you pack the iron carefully for a vacation so you can look great even when you’re far away from home. The xtava Twist Curling Wand is especially good for travel as it works with universal dual voltage and can be used all over the world. 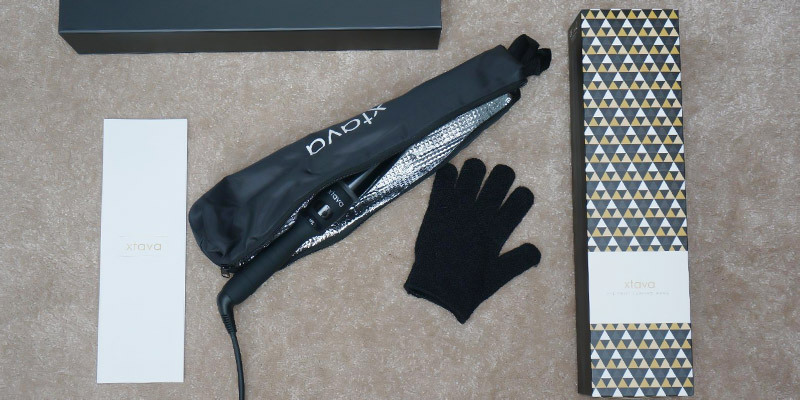 So choose the xtava Twist Curling Wand if you need a curler with precise temperature controls, LCD display, free accessories, and a nourishing coating on the barrel. It’s a fine fit for those with fair hair that may require lower temperatures and a delicate approach. 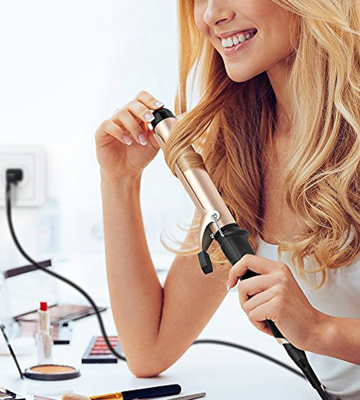 Don’t want to spend too much on something as basic as a curling iron yet want to get one that would give your locks more bounce while not damaging your hair? Consider the Anjou AJ-PCA005 Curling Wand, an affordable and decent product that will let you experiment with different styles. 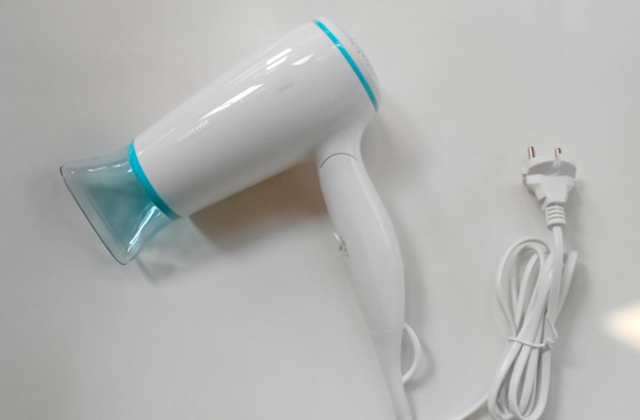 With the long 2.5-m power cord, you’ll be able to strut around your bathroom as your hair dries and curls, getting your makeup ready. And don’t worry about being lost in thought and accidentally burning yourself as this model has a cool tip and comes with a free heat-resistant glove. Plus, for extra safety, the curler is set to shut down automatically after 30 minutes. 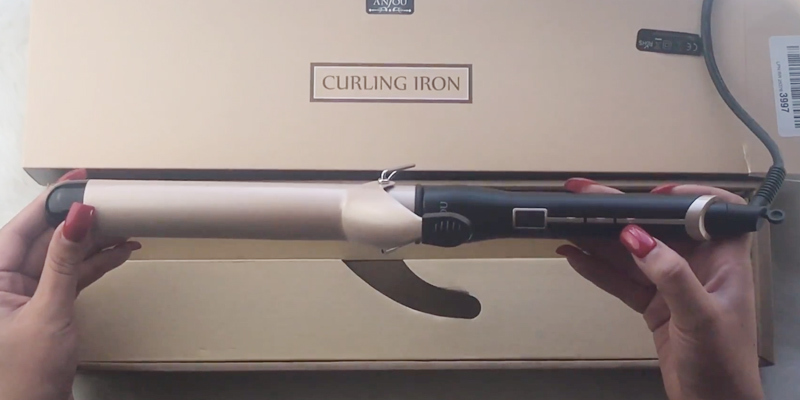 The Anjou AJ-PCA005 Curling Wand doesn’t trail behind more expensive models as you can turn the iron on and start working on your hair almost immediately if you don’t plan to use the highest temperature. 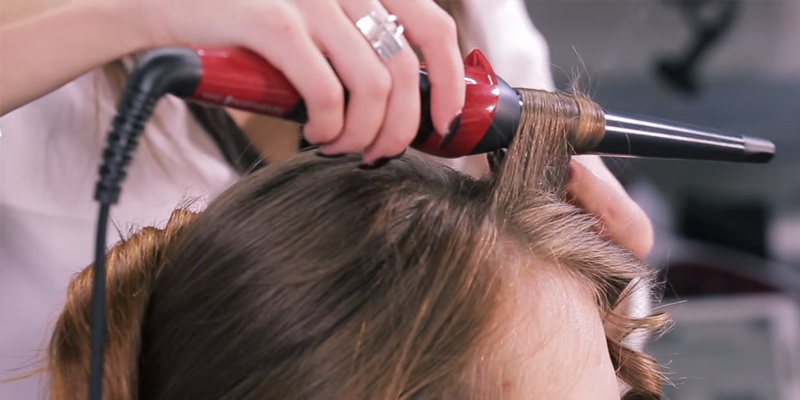 This curling iron can heat up to 210°C in just 60 seconds, just a bit longer than some top-of-the-line models. 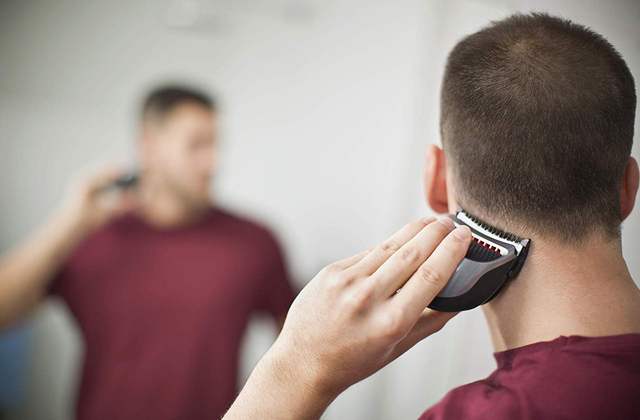 Plus, you can adjust the temperature from 80°C to 210°C for fine, normal, and thick hair. The settings you select will be shown on the LCD display located on the handle of the wand. So in spite of the fact that the Anjou AJ-PCA005 Curling Wand isn't produced by some recognisable brand and doesn't offer any fancy features like tourmaline or ionic technology, it nevertheless is a perfectly serviceable curling iron that will handle fine, normal, and thick locks with ease, giving you full control over the settings. And to sweeten the already appealing price, the manufacturer provides a heat-resistant glove so you get everything needed for a comfortable and safe styling experience in the box. What Are Best 1-inch Curling Irons? 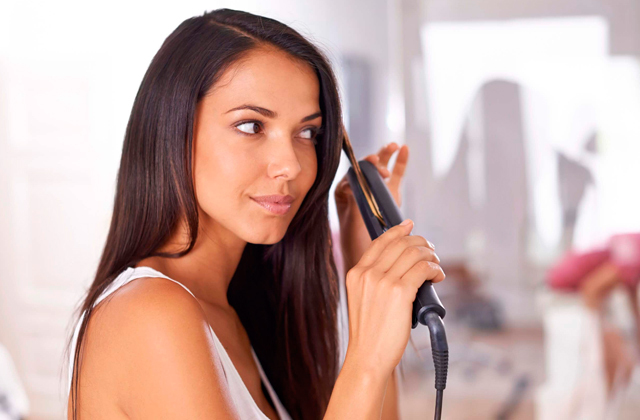 A curling iron is a popular tool used for creating curls and waves of different shapes and sizes. They may greatly differ one from another by material, size of barrels, diameter, shape, and functions. The most popular curlers, however, are those with 1 inch and 2 inches in diameter. In case you haven't yet decided as to which of the two you actually need, we've rounded up some recommendations and tips to help you make a decision. Basically, what you need to take into consideration before selecting a curler is your hair length, its thickness and the types of curls you'd like to create. If you've always dreamed about natural curls and your hair is long enough to hold voluminous spiral waves, your choice is 2-inch curling irons. They can help make gorgeous curls, adding to the hair a beautiful shape and volume. 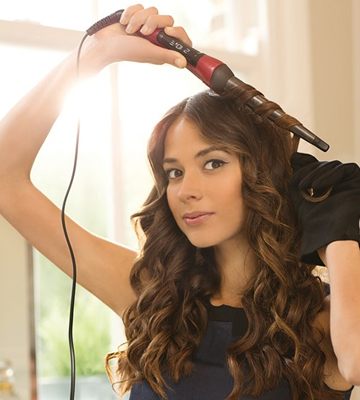 For those whose hair is shorter than shoulder length, we'd like to suggest curling irons with 1 inch in diameter. Due to the smaller size of the barrel, you will be able to create awesome ringlets and spiral curls layering them down as you wish and be sure of long-lasting results. 1 inch curling iron, for a lot of people, is also much more convenient to use, as it weighs little and is easier to rotate. For this review, we've handpicked only the best 1-inch curling irons presented by different brands, so view them all and make your choice. 1. Kristina Werden Parts of an Electric Flat Iron LEAF. 3. Amanda Holstein The Real Difference Between a Curling Wand and a Curling Iron, Popsugar. April 18, 2015. 4. Amanda Holstein Everything You Need to Know About Your Curling Iron, The Everygirl.